A collection of billions of stars, along with gas and dust, held together by its own gravity. A collection of billions of stars, along with gas and dust, held together by its own gravity. 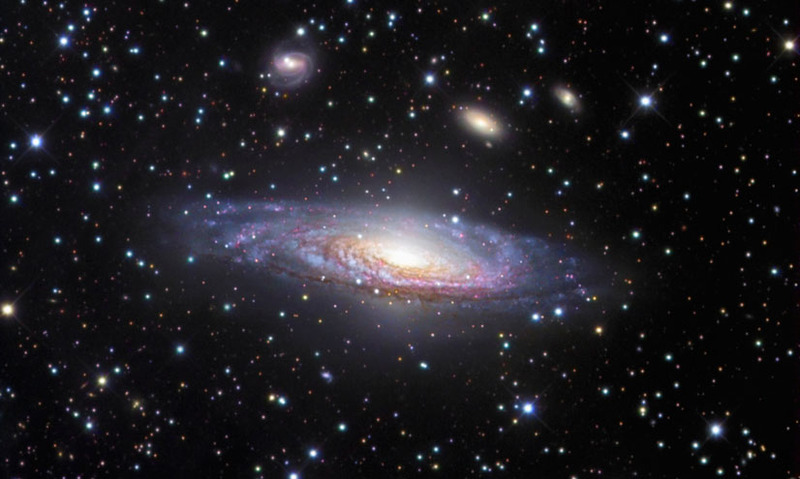 Galaxies are classified by their appearance, as spiral, elliptical or irregular. The Milky Way is a spiral galaxy. It's now believed that at the centre of every galaxy is a supermassive black hole, sucking in vast quantities of matter and producing a huge outpouring of energy. The Milky Way is a spiral galaxy. It's now believed that at the centre of every galaxy is a supermassive black hole, sucking in vast quantities of matter and producing a huge outpouring of energy.